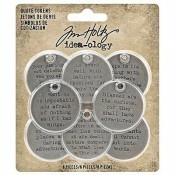 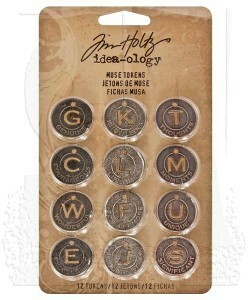 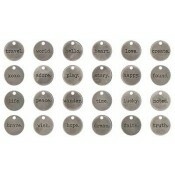 Muse Tokens with clever, meaningful words and letter cut outs. 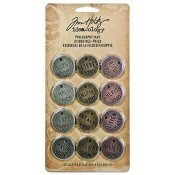 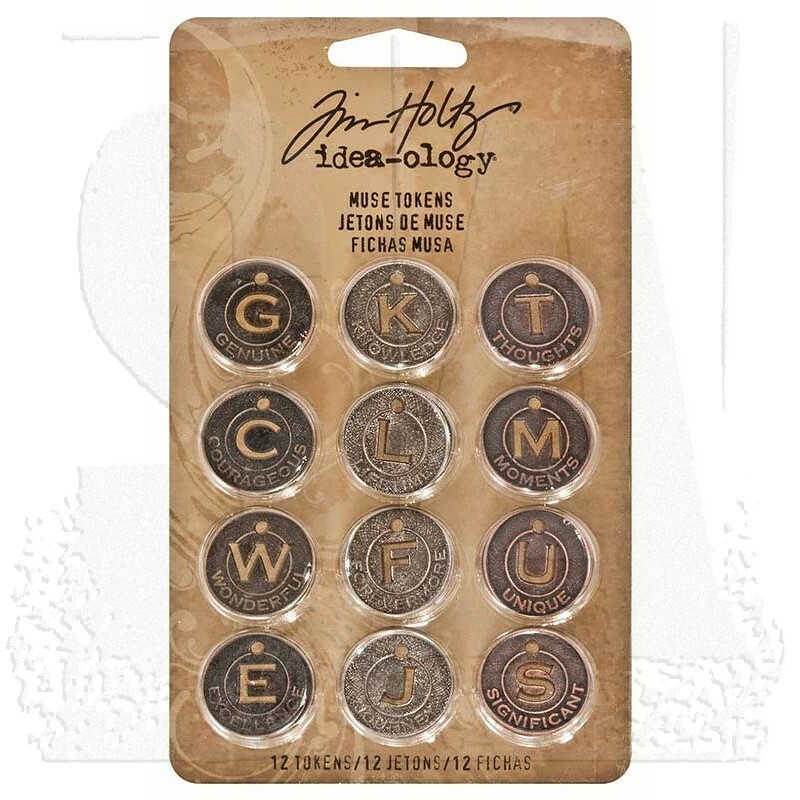 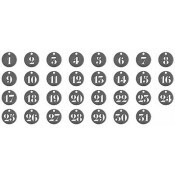 Each package contains 12 tokens in three finishes (four in nickel, three in brass, three in copper). 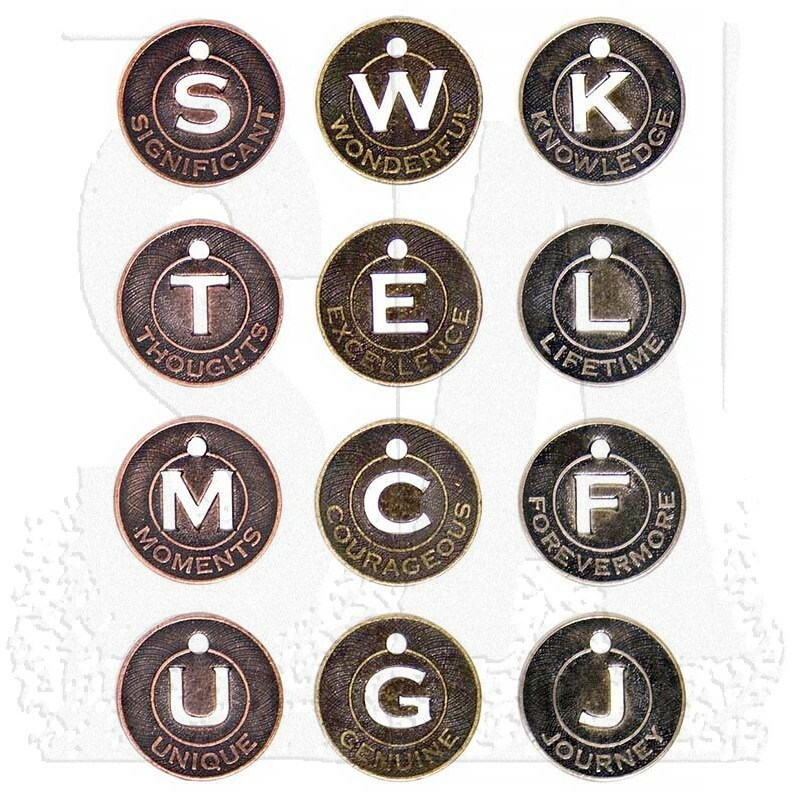 Tokens measure just under 1".